Protecting loved ones or innocent people may be a reality in a defensive gun use. Training with your family on how to respond to different incidents is important. How Often should you train for a self defense scenario? Would you believe me if I told you that you likely don't train often enough? Here's the thing, I work for the gun industry, go to the range on nearly a weekly basis and I still don't train with my every day carry (edc) gun enough. You are not as good as you think. Plain and simple, we could all do better. We could all use work, and none of us are as good of a shot as we think we are. I know I'm not. I used to have this fluffed image of myself. I was in the Marines, I thought. Everyone knows Jarheads can shoot! And sure, I can shoot a rifle with irons like nobody's business. But handguns were a different story. The first time I went to the range and shot with people who were verifiable badarses behind the trigger, I was deflated. But that's a good point all by itself … it's always a good idea to train with folks better than you are. That way, you are by default always upping your game to be as good as they are. Believe it or not, all skills can deteriorate over time. If you don't use it, you end up losing it. Of course, there are some parts of shooting that are like riding a bike, like breath control, trigger finger placement, etc. But, if you don't train for a long while, and then one day go back to it, chances are good that you won't be as proficient behind the trigger as you once were. Like riding a bike, you may be a bit wobbly–at least at first. This was something I learned when shooting with people better than me. I could hit a stationary target all day long. But, adding the stress of a drill to the mix really challenges your skills. Keep in mind that stress is the key, here. You want to do things that you are not used to because they will make you better at defensive shooting. And, stress is what your body faces when you are attacked and I'm a big proponent of getting as real as possible with training scenarios–range permitting. 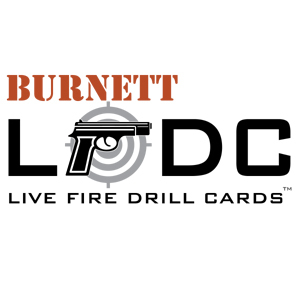 While drills are not a perfect scenario, they help simulate something more than just putting rounds on paper, and changing it up is a great way to keep you on your toes. You could always do more. If you can't go to the range on a regular basis, you need to do something. This is one of the reasons why they invented awesome products like MantisX, SIRT, and the Glock e-trainer. But, you don't have to spend any money if you're broke like me. Getting that trigger time in any way you can is one if the best things you can do. 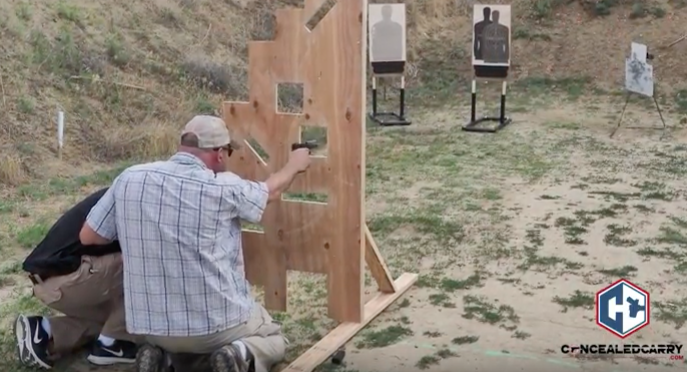 Set apart some time for dry fire practice, each day of the week, even of its only 15 or 20 trigger presses. Each one counts. And, if you do have the extra cash, one of those tools mentioned above can only help you. Believe it or not, you should consider taking advanced courses every so often. Things change, skills change, and your skills may be in need of some serious refinement. The only way to know for sure, is if you go to the range with someone whose job it is to make you better. We've got an extensive list of instructors in more than half the country, each one vetted by us to make sure you only get good instruction. Why do we recommend that you train more often? I mean, this is your life we are talking about. It blows my mind to hear about folks who go to the range once each year. You carry a gun to save life if the need arises. Do you really think going to the range so little and only putting lead on paper will help you if that time comes? So how often do you train? More than you are right now. If you only go yearly, try to go at least quarterly with dry fire training at home. If you go quarterly now, try to go monthly with dry fire training. Get the idea? Do more, train better, and stay alive. Did I leave anything out? Am I totally off base? Let me know in the comments below. JM4 Tactical Sews Leather To Polymer? And, What Is Boltaron? 4 Responses to Are You Training Enough? Great article. I am the exception because I shoot every Sunday. Now shooting holes in paper at 7,15,25 and 50 yards is not what I would call advanced but its all I can do in the area I live in. Dry firing is ok but what I need is some ‘High Speed’ training and those classes are a bit out of reach for me. I train with my EDC at least once a week, more in good weather. We’re blessed here in Central Oregon to be able to shoot (safely) anywhere in the nearby BLM land, and there are a bunch of great range areas to practice draw-and-shoot while evading trees, rocks, etc. I always train while remembering the “3-3-3” rule of concealed carry. 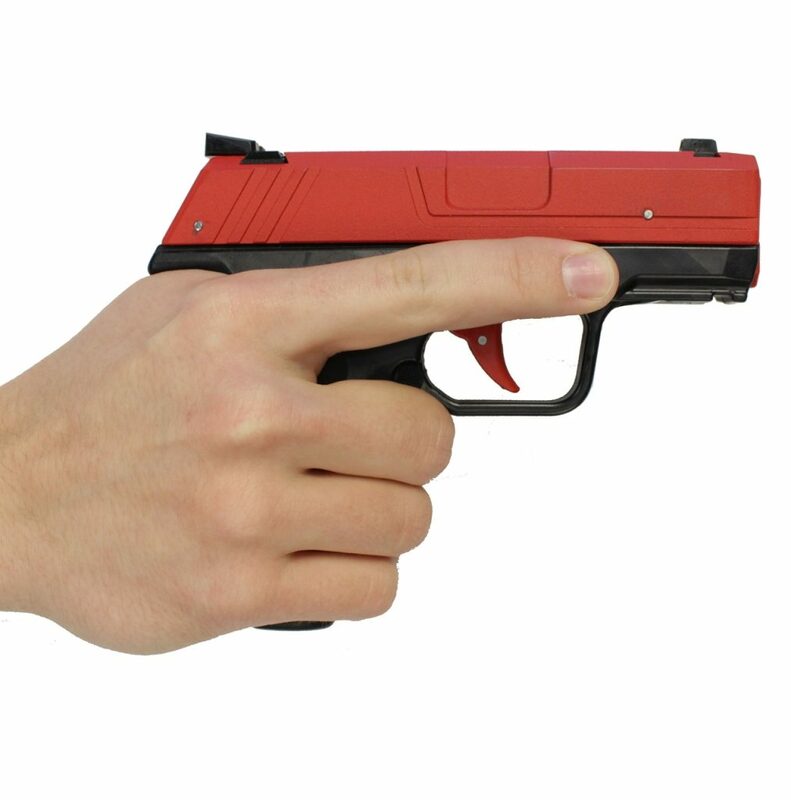 The average defensive incident lasts 3 second, involves 3 shots, and takes place within 3 yards. If you’re training for those types of scenarios, then your training will be valuable. Going to a standard range and shooting holes in paper at 15-25 yards is “fun”, but it’s not really “training”. Hello, Im new to all of this & i was curious about something. I keep reading about dry firing but i was under the impression from my CCW class that dry firing was not good for your weapon. I need to practice more often but can’t really afford to pay range prices & I don’t have the property to practice on. So dry firing won’t hurt my weapon? Leave a Reply to Jay Lacson Click here to cancel reply.